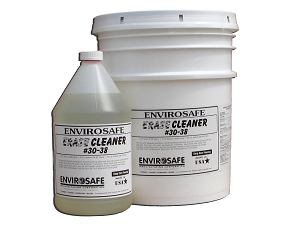 Removes rust and stains from concrete, masonry, brick. 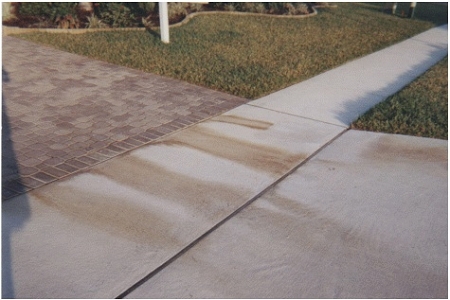 This non-toxic cleaner effectively removes rust stains from stucco walls, sidewalks, driveways and patios. 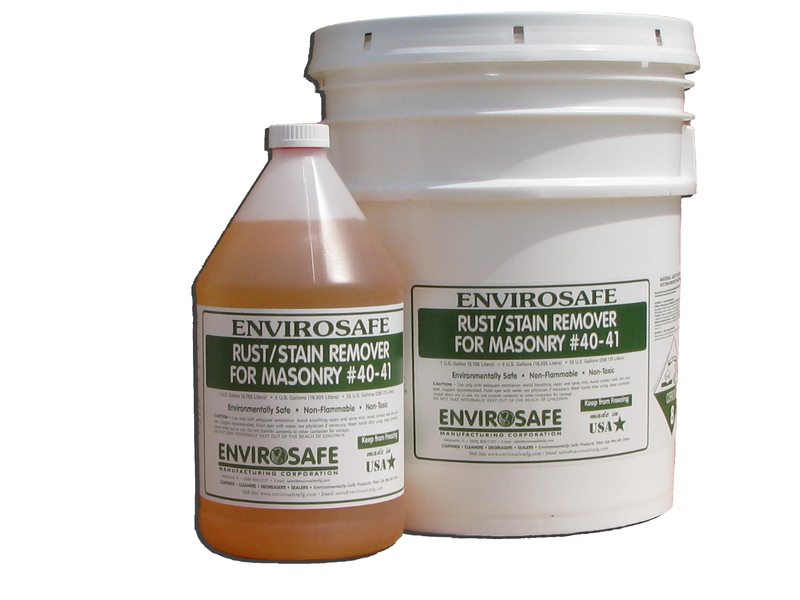 PRODUCT DESCRIPTION: A unique formulation that removes rust and stains from concrete, stucco, brick or any other masonry surface. 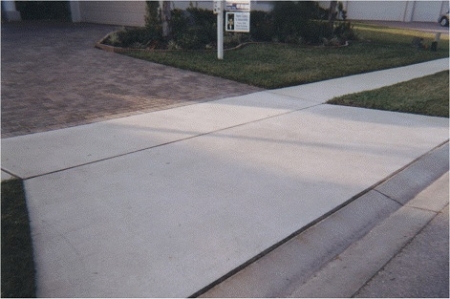 TYPICAL USES: For industrial, commercial and residential use on homes, sidewalks, driveways, buildings, slabs, ramps, car dealership repair stalls, auto body shops, gas stations, shopping centers and streets. 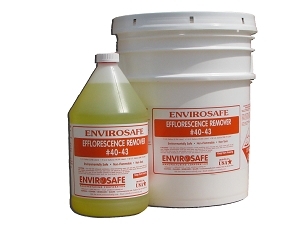 PRODUCT ADVANTAGES: An effective stain remover, that is non-flammable, biodegradable, non toxic, non-carcinogenic and water soluble. 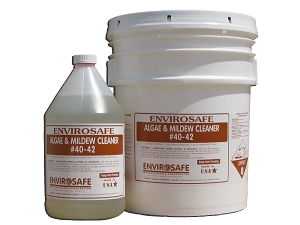 It will not harm treated cement surfaces, plants or animals. 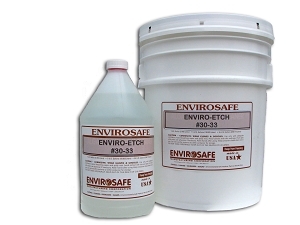 For Exterior Use only. Shipping Weight: 9.4 lbs. * 46 lbs. * 496 lbs.